Gulmarg is Kashmir’s unique ski area. 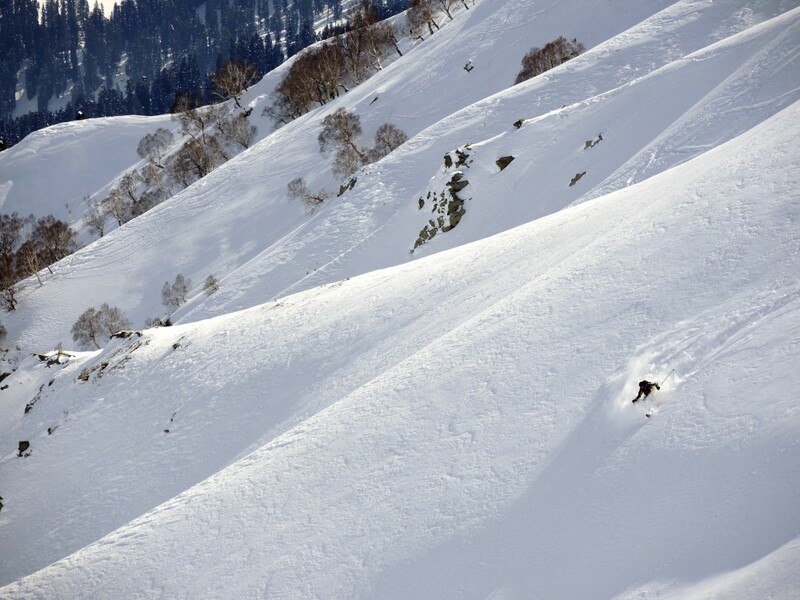 It’s big mountain nirvana, skiing massive gondola assisted back country runs, deep powder, superb trees or wide open alpine slopes, Kashmiri culture, great food and when it’s snowing, some exquisite 4WD taxi, or touring through trees. It’s a powder skiing paradise and there’s never the need to do nothing, unless you are tired of course. I’ve been touring in Gulmarg for five years and just love the pace. 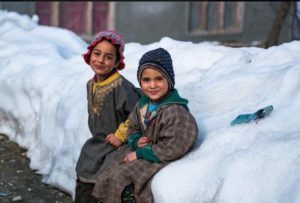 Below is some information, but the main point is YOU NEED A GUIDE to explore Gulmarg’s pristine skiing safely, even if you have a wealth of back country experience and I suggest a qualified Westerner with experience in Gulmarg. Your decision on who and how much you want to pay will dictate the outcome, safety and quality of your trip. It is not a place to skimp on safety! We mostly tour in the alpine region (up to 4300m) off the top of the Gulmarg gondola. There are some fantastic long tours with up to 2000 vertical metres of smooth untracked powder, sometimes dropping into a remote village followed by a taxi back up to the hotel. Then there’s the storm skiing from the gondola mid-station with amazing trees, or short climbs on Monkey Hill (right beside town) and also down into the taxi serviced Baba Rishi Trees. 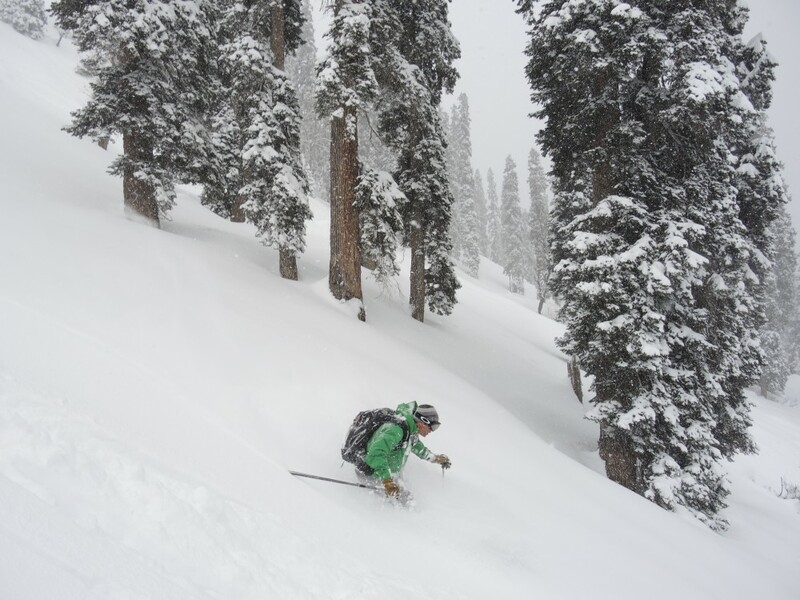 The snow is comparable Utah powder, only with bigger and steeper mountains, the shady snow dries out at night and gets better and better. 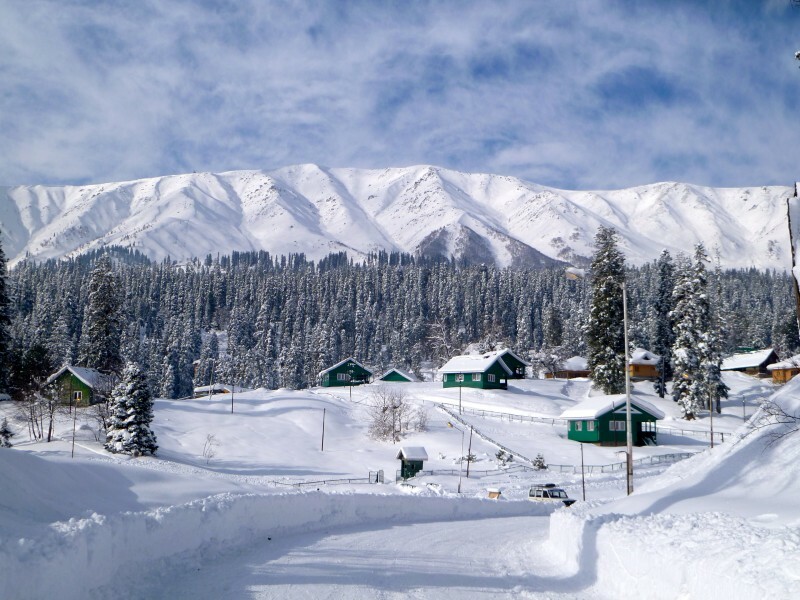 Situated right at the very top of India in the region called Kashmir is the beautiful village of Gulmarg. Until the mid-19th century, the term Kashmir geographically denoted only the valley between the Great Himalayas and the Pir Panjal mountain range. The state is now much bigger and has borders with Afghanistan, China and Pakistan. The town has about 30 hotels, an ATM (not always reliable), gift shops and confectionary shops. Arrive at Srinagar airport early afternoon to be met by one of our team for the two hour transfer via private vehicle direct to the Highlands Park Hotel, Gulmarg (your accommodation for the next 12 nights). Prior to sitting down for a welcome banquet, we will introduce you to Gulmarg with a resort familiarisation and trip overview presentation. 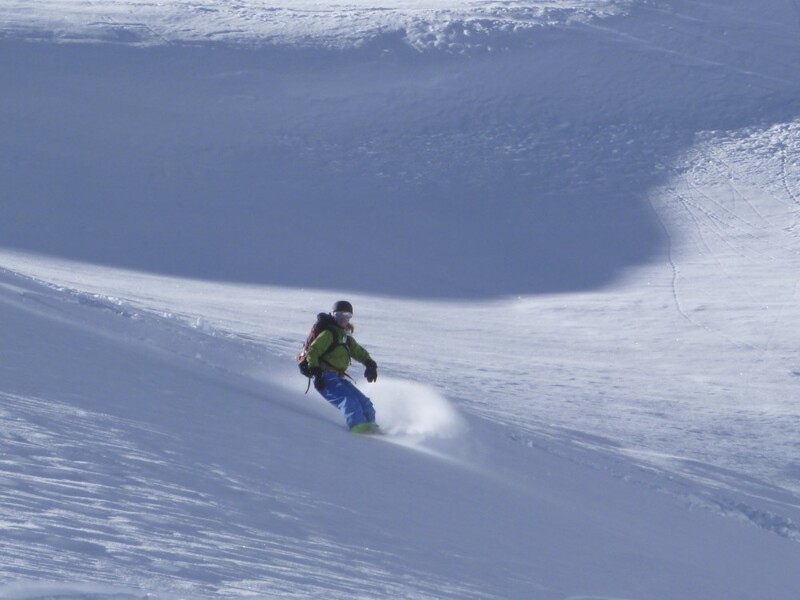 Twelve full days of guided off-piste adventure skiing and snowboarding with a maximum client to guide ratio of 4 to 1. The snow and weather conditions are assessed early each morning and the best available options will be presented over breakfast. Choose to stay within the resort (rarely), explore from the top station or ski off the plateau to the valley floor. There are enough guides available to allow the group to be split to meet everyones daily objectives. Untracked, great snow is usually on offer somewhere nearby. You will be instructed in the use of backcountry equipment and safe travel practices while exploring the mountain each day. Further avalanche awareness and rescue training will be provided to groups and individuals who are keen to learn the finer of points of back-country safety. When you have had enough riding for the day a vehicle will be waiting to transfer you to your floating accomodation on Dal Lake for the next 2 nights. Explore Srinagar city with a sightseeing and shopping tour then finish off the day with a relaxing shikara cruise around Dal lake and a delicious meal on the houseboat. Listen to the “call to prayer” for one last time, relax on the houseboat or go for another shikara ride before a late morning departure to meet your flight. With the claim of ‘The World’s Highest Gondola’ (it’s actually the second highest), with a massive vertical drop of 1400m, descending down through vast alpine bowls and then into perfectly spaced trees it has become a mecca for adventurous ski and snowboard touring. The gondola rises from the Gulmarg Village in two stages to 4000m on Mt Apharwat (4200m). During big storms the huge pines from the mid station down offer great protected tree skiing descending to 500m below town with taxi serviced ski touring. Not as spicy as traditional Indian curry but very tasty. Meals like rogan josh (lamb cooked spices), yakhiyn (lamb cooked in curd ), hakh (a spinach-like leaf), rista-gushtaba (minced meat balls in tomato and curd curry) are available plus great Indian curries. 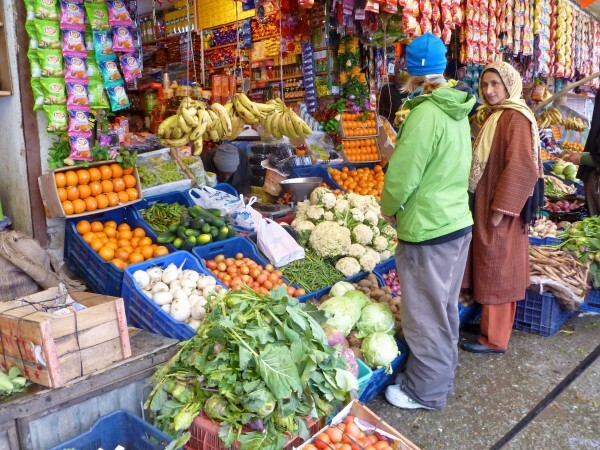 Vegetables are a bit sparse in Kashmir, but the food is tasty and plentiful. You can sometimes get salads and even fresh fruit. India and Pakistan have fought at least three wars over Kashmir, including the Indo-Pakistani Wars of 1947, 1965 and as recently as 1999. But we feel the Gulmarg area is very safe and tourism is welcomed by the local Kashmiri. There is a lot of security and for the past 5 years tourists have been traveling to Gulmarg without issue. But in saying this, we advise people to take normal precautions in Srinagar and not travel alone at night away from the tourist regions and to avoid any protests. Some governments still advise against traveling to Kashmir and we feel this is an over cautious approach. The weather in February in Gulmarg is similar to Utah’s weather in the USA. It has 2-3 day￼ storms every couple of weeks. In fine spells the snow just gets better and better, usually stabilising so we can ski steeper runs. If its snowing and/or bad weather we will use the gondola (if possible), skins and local taxis to ski the numerous amazing tree skiing runs. We’ll ski the Drang Valley, 10-15kms down through the small village of Drang where kids run out to great us and ride on the backs of our skis/boards. Then have lunch in Tangmarg before taxiing back up to Gulmarg. We stay at the very comfortable Highland Park. A traditional hotel recently renovated very new modern clean bathrooms, hot showers, new linen, TVs, heaters, friendly staff and a short ski to the heli skiing base, or the gondola. Many cheaper hotels have smokey wood burning heaters in the rooms, limited hot water and terrible bathrooms. We have looked around at most of the hotels and Highland Park is by far the nicest in town and it has one of Gulmarg’s few bars.In Srinigar we stay at a traditional house boat. An amazing experience on its own and a great way to wind down before flying home. Srinigar is the capital of the Jammu and Kashmir regions and the largest city in the state. Its famous for its canals, houseboats and Mughal gardens. All the houseboats on the Dal Lake that we visit require a ‘Shikara’, or hand paddled water taxi, to get to and from them which is a great way to relax and see the lake sights. Split board and skins and a snowboarder can go anywhere! Some snacks (say 2 meusli bars per day), tea bags, real coffee (we’ll have some to), drink mix like Gatorade, vegemite, single malt whiskey, wine …..
Flights from New Dehli to Srinagar mostly operate in the mornings, so you may need to fly into New Dehli the night before. The New Dehli to Srinagar return flight cost about NZ$125 each if you buy them from Air India or Jet Airways as they fly from the International Airport and saves you transferring airports. We’ll collect you from Srinagar Airport. Most countries need a visitors visa for India. Some countries can get a visa on arrival (like NZ) but you must apply and get approval online before leaving home. Click here to apply. You need to bring your own avalanche transceiver, shovel and probe (or you can rent it). You can get away with regular skis, bindings and ski boots. But you need to have a touring binding on your ski and bring skins (which attach to the ski base and slide forward and not backwards for walking up hill). This way you are set for what ever the weather and conditions throw at us. Snowboarders should bring walking poles and snow shoes, or split board. It gets down to about -10-15C on the tops, which isn’t too cold when you are skiing. You can’t get good quality touring gear or skis in Gulmarg. Another option is to take an adapter for your regular downhill ski bindings which is pretty inexpensive and works fine, they are called Alpine Trekker adapters and then you still need some skins. We can help you source these. There are about 50 Indian Rupee to a NZ dollar. You can use US dollars in Gulmarg, but you get a better rate with Indian Rupees. There is a cash machine (ATM) in Gulmarg and in the town we ski to, Tangmag, but they aren’t always working. You can use credit cards sometimes (especially for extra heli-skiing). Indian Rupee in cash is the best thing to take. Length of Trip: 15 day. Trip Cost: AUD $6,490 (approximately $6,870 NZD) per person, twin share. See inclusions and exclusions below. PRICE INCLUDES: 15 days – AUD $6,490 per person, twin share.